24 May, 2017, New Delhi: Our health vastly depends on what we eat. Indians have certain eating habits that make them more prone to various health issues than our Western counterparts. Easily available fast food, long work hours and rising prices of fruit and vegetables are some of the reasons for rising consumption of fatty, sweet and salty foods. In the last quarter century, chronic diseases have emerged as the number one cause of deaths in India, major reason being the kind of food intake a person has. 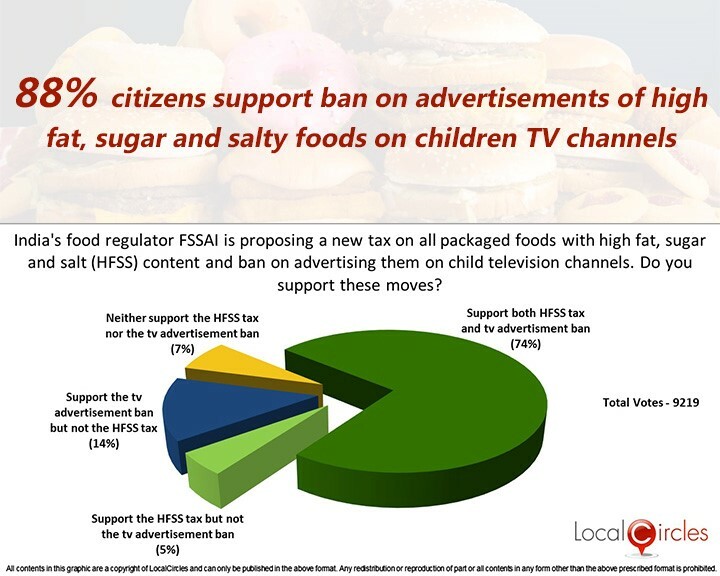 The food regulator of India, FSSAI has proposed a tax on all packaged foods with high fat, sugar and salt (HFSS) content and a ban on their advertising on children television channels. 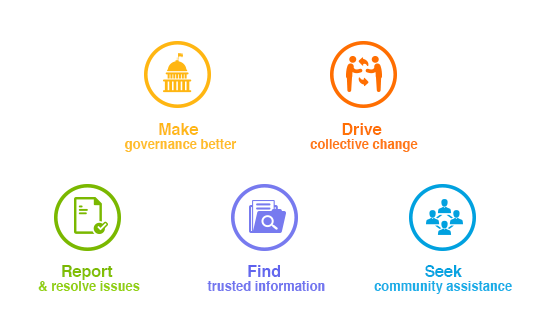 Citizen engagement platform LocalCircles conducted a citizen pulse to understand the support for this move. Not surprisingly, 74% people voted in the favour of both the moves. 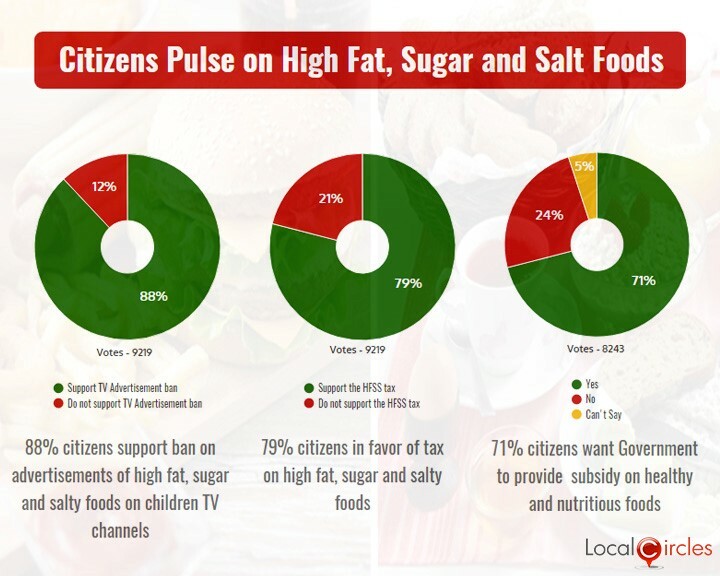 When looked at support for each of these individually, 79% citizens are in favour of a tax on high fat, sugar and salt (HFSS) foods while a whopping 88% citizens are in support of ban on the advertisement of HFSS foods on children television channels. A total of 9,219 votes came in on this poll and enclosed are the details. In discussions on LocalCircles, many citizens suggested that while it is a good idea to introduce the HFSS tax, the Government should also lower pricing of healthy and nutritious foods so the move towards these foods is economically incentivised. 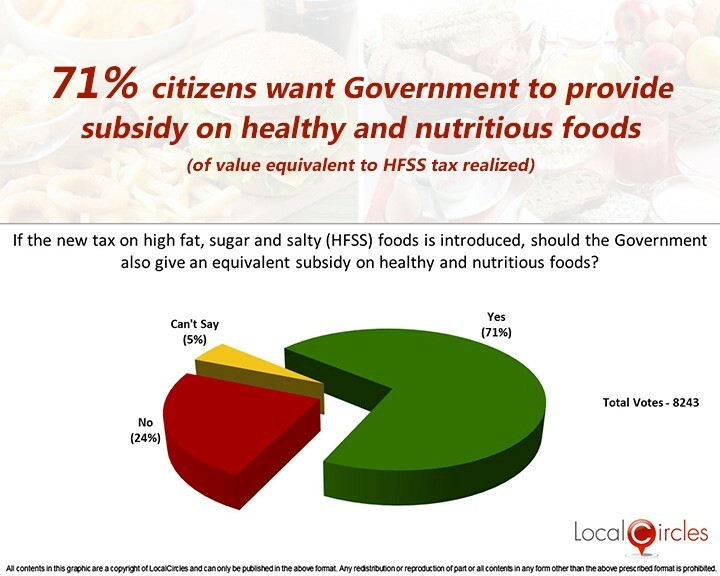 The second question that LocalCircles asked citizens was if the new tax on HFSS foods is introduced, should the Government also give an equivalent subsidy in value on healthy and nutritious foods. Of the 8,243 votes that came in on this poll, a majority of 74% agreed with it, 24% disagreed with it while 5% did not have an opinion. Enclosed are the poll details. 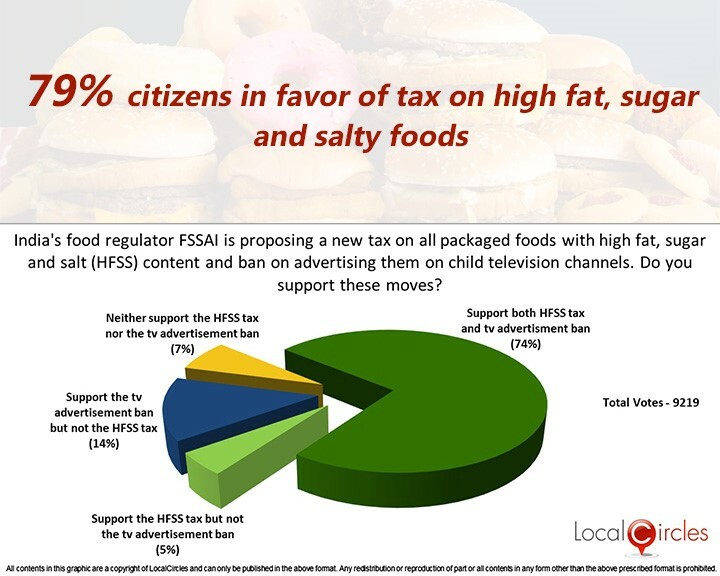 Citizens also said that restricting the intake of HFSS foods will lead to a healthier generation and mass awareness should be created about the bad impact of such food. They said school and college canteens should be banned from selling HFSS foods. Some citizens also suggested that such packed foods should be labelled HFSS on their packaging so that they become easily identifiable. The modern style of living also knowing or unknowingly involves ignorance of healthy eating habits. According to a WHO study, India will be the Diabetes capital of the world by 2025. Strong measures will have to be taken by the regulators and the government so that healthy food habits could be restored in Indians. LocalCircles will be sharing the above citizen pulse with FSSAI and other key stakeholders for consideration and actions.